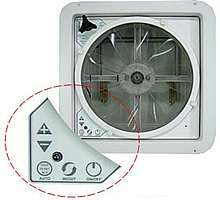 Opens and closes like most standard roof vents but with a handy remote control. Moves over 900 cubic feet of air per minute! 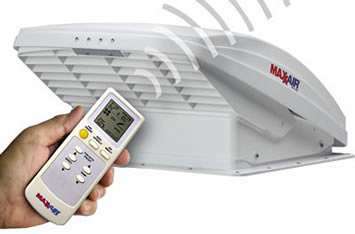 The MaxxFan is the only complete RV vent fan that incorporates a vent, fan and rain protection in a single all-in-one-unit. It comes in two colors, white or smoke.